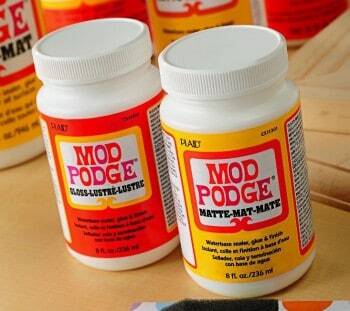 Wondering if you can Mod Podge on Styrofoam? The answer is yes, you can! Does this look like an old Styrofoam meat tray to you? Not to me either! Of course it doesn't, because it comes from Sara at Creative Jewish Mom. 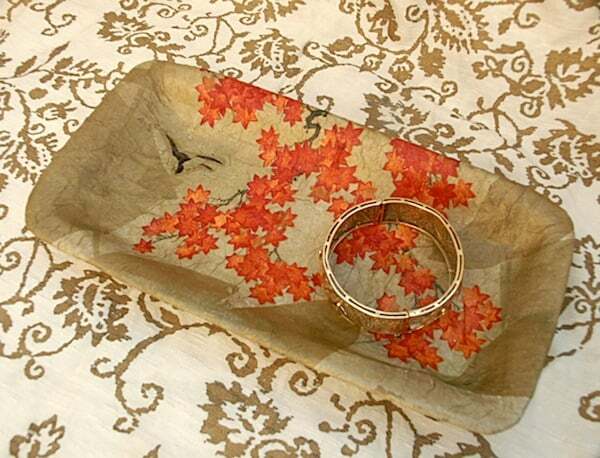 She made it pretty with paper mache – pretty enough to hold jewelry, or whatever you want, really. 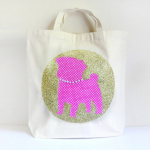 Sara is really good at Mod Podging, so you should take a peek at her tray craft post but then poke around for some other projects. Enjoy. Love it, going over to Creative Jewish Mom,now! The hoardosaurus in me knew that those meat trays wanted to be something. Beautiful! I wholeheartedly agree with you, Mel! This inspired me to copy pieces of fabric I had cut for a quilt. Arranged them hodge-podge on paper & made copies. Painted the bottom of the styrofoam, then Mod Podged a copy of the fabric on the top. This will be a new spoon rest for my stove. Thanks so much for sharing and inspiring!